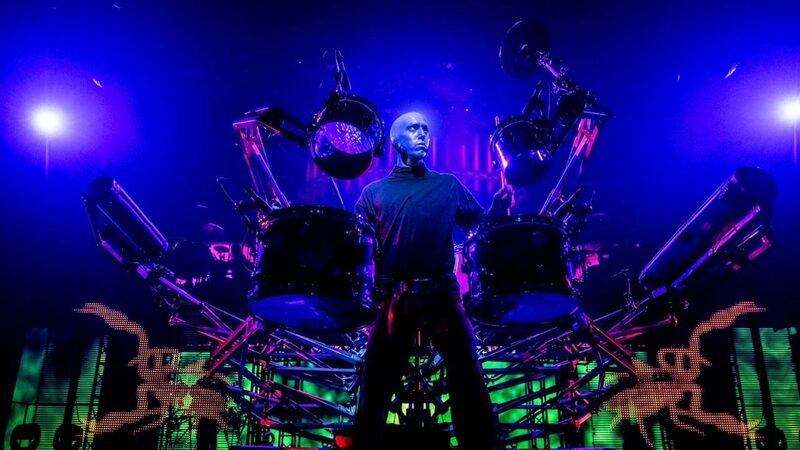 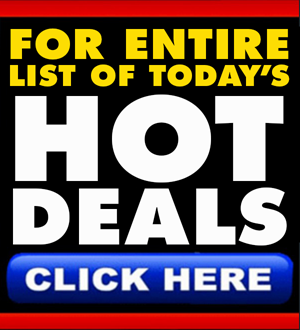 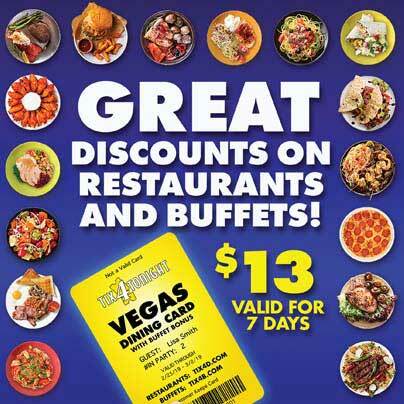 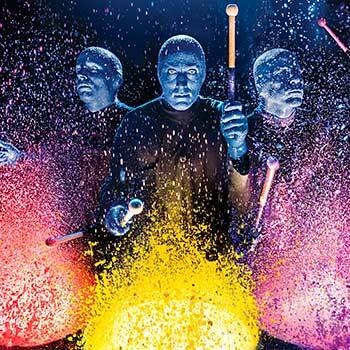 Blue Man Group Las Vegas provides creative and inventive all ages entertainment in Las Vegas. 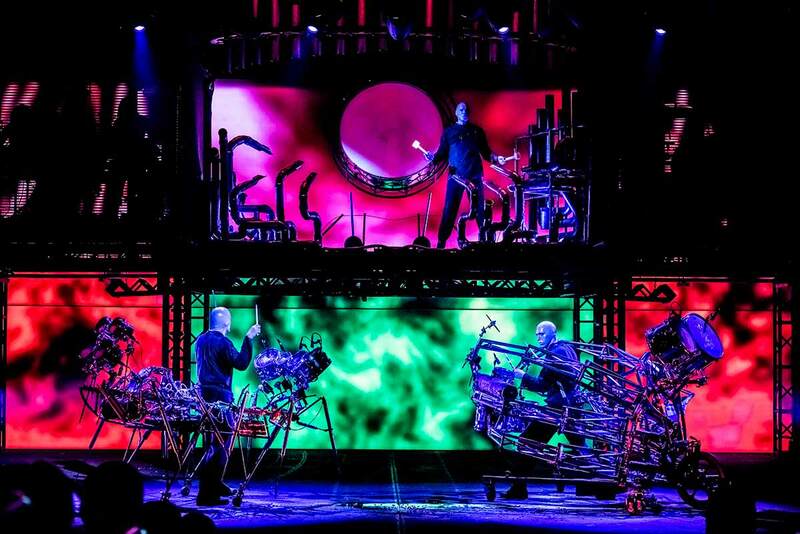 Blue Man Group is one of the most entertaining, unique, unpredictable, endearing, exciting, creative and inventive shows playing in Las Vegas. 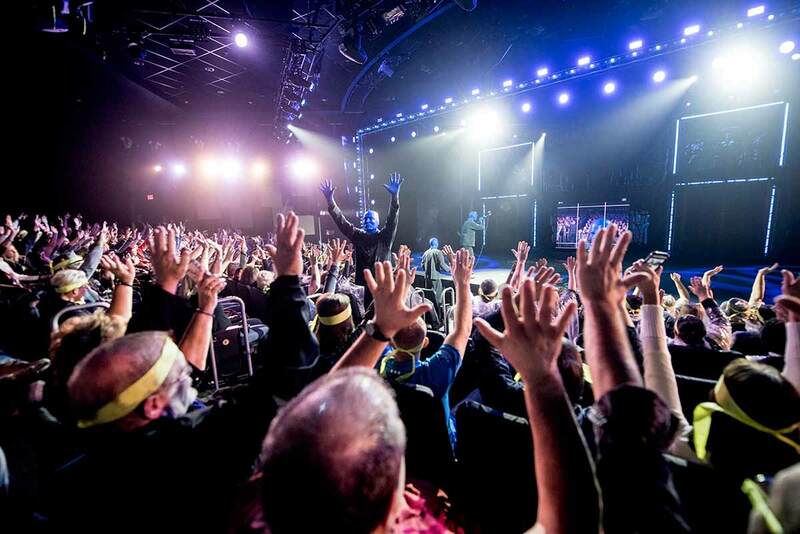 This all ages entertainment spectacle at The Luxor is a family friendly experience that doesn’t go blue — even if the cast is painted blue. 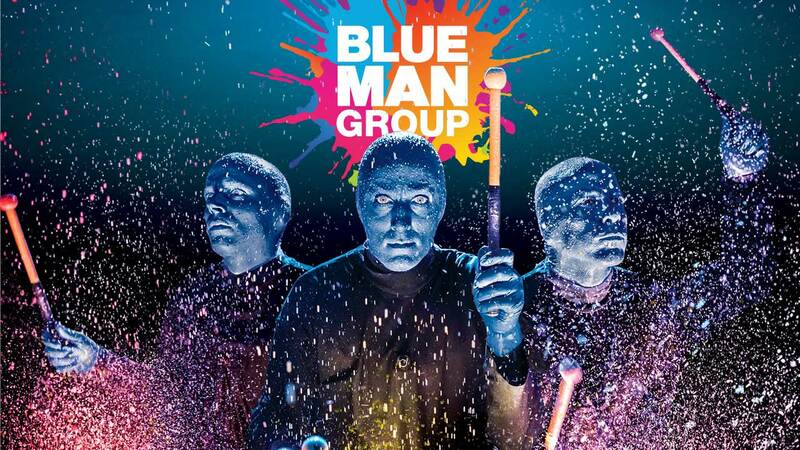 The Blue Men incorporate music, visual effects, and comedy into their one of a kind, multimedia performance art productions, and they’ve become one of the most popular acts in Las Vegas… and the world, as the group has become a genuine international phenomenon with productions all over the globe. 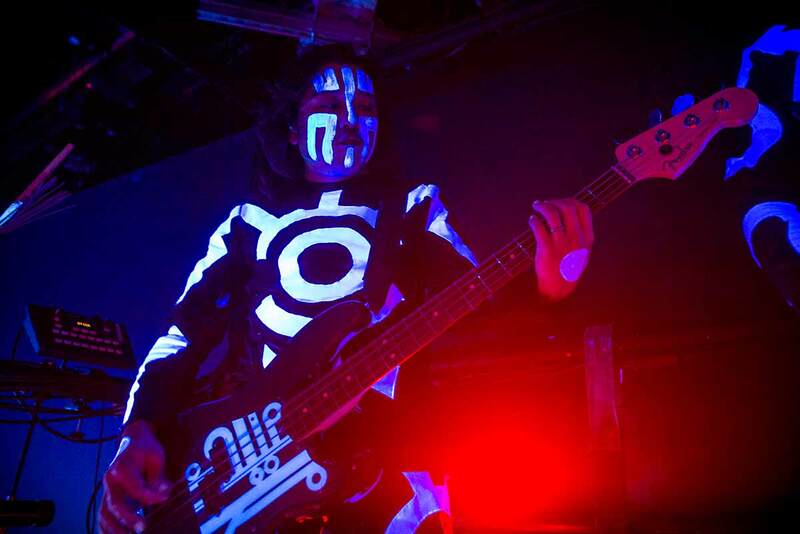 The universal appeal of The Blue Men stems from the fact that the non-verbal shows translate beautifully in any country, as the group bases their shows around visuals and music instead of language. 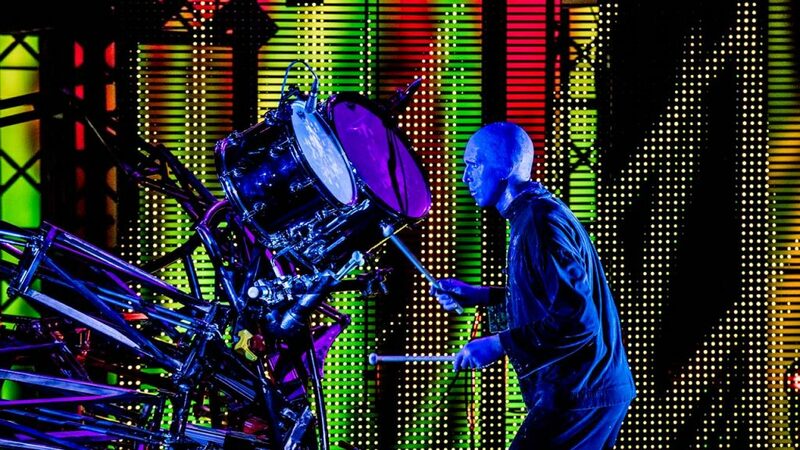 Without speaking a word, the Blue Men communicate all they need to by playing drums covered in paint, performing hilarious comedy routines, creating spectacularly imaginative visuals, and inviting the audience to actively participate in a ride they won’t ever forget. 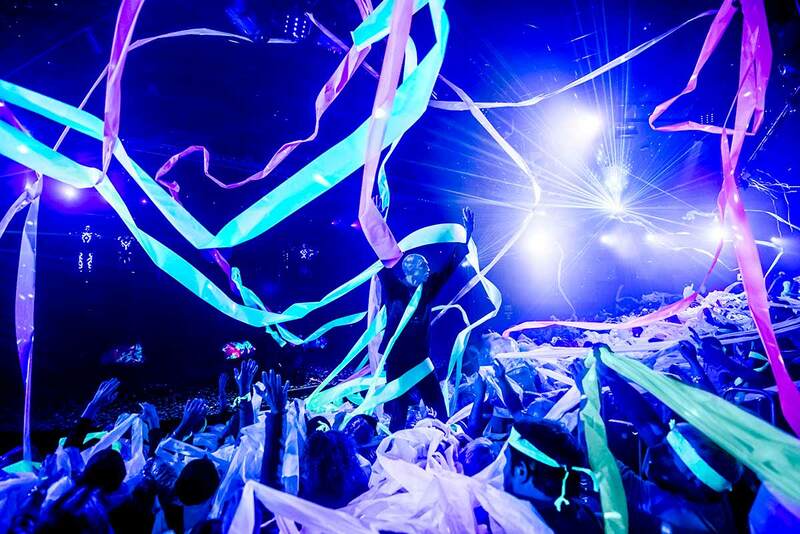 Be warned: ponchos are provided under the seats in the first few rows of the theater, which you’ll want to wear to protect yourself from errant paint and water splatters that add to the fun. 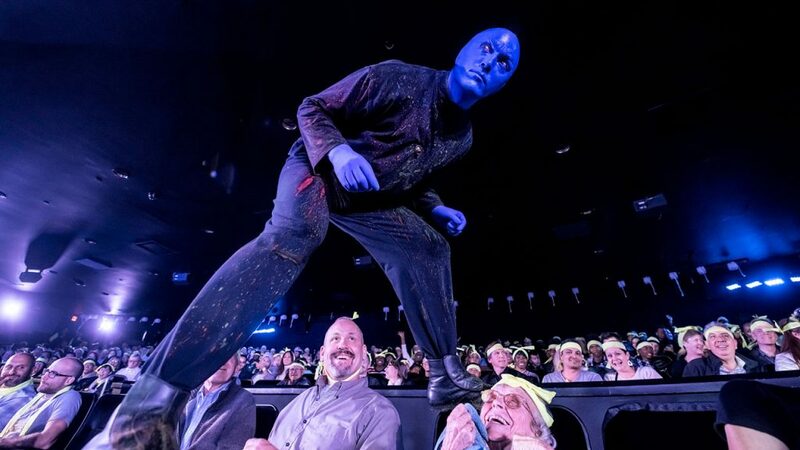 To make up for the mess they create onstage, the Blue Men pose for photos with you outside of the theater after the show. 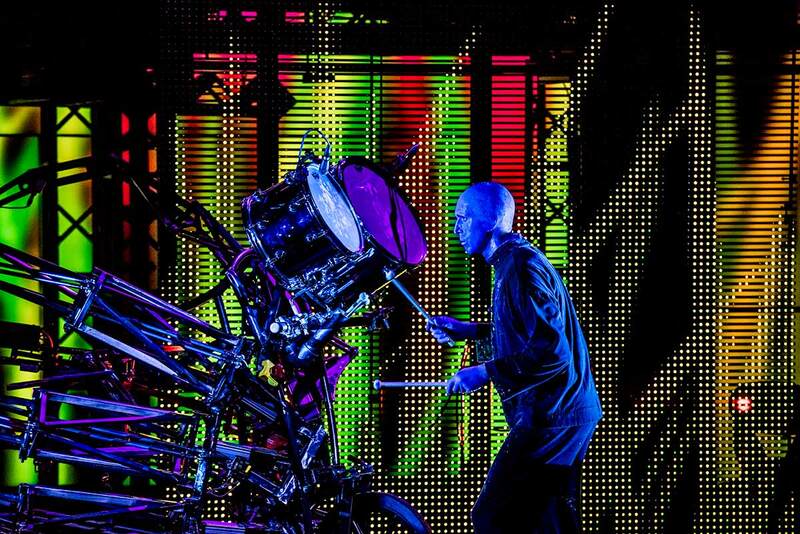 The Luxor Blue Man Group show involves unique elements like a giant light up brain drum, funky dancing robots, massive glowing balls that float above the audience, and drums that literally smoke. 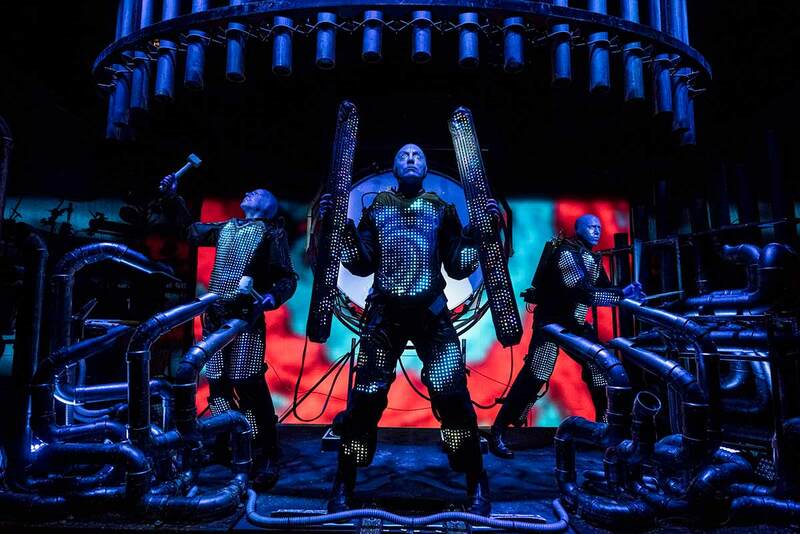 Mixing astoundingly creative visuals, an infectious sense of anarchic fun, impossibly catchy music, and inventive silent comedy, you’ve never experienced anything quite like The Blue Man Group at The Luxor.